DAVID LE/Staff photo. 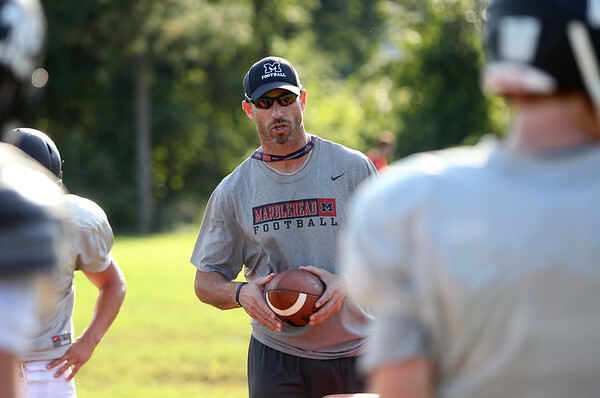 Marblehead Offensive Coordinator Mike Giardi. 9/16/15.